Do you only restore All-Weather Leather Dooney Bags? 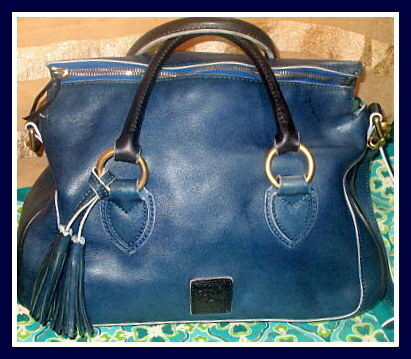 Do you restore handbags which are not Dooney & Bourke? Answer: Yes we do! Again send us pictures first for our recommendations before you purchase this service. Do you restore Dooney & Bourke Vintage accessories such as AWL wallets? Answer: Yes we do! Just look at our Vintage Dooney wallets for sale. If they are not brand new, they have been completely, pain-stakingly restored, just as yours will be. Please send pictures and questions first to vintagedooney@hotmail before ordering to find out if your Dooney item is a good candidate for restoration. We are happy to help! Your beloved Vintage Dooney AWL bag to be thoroughly cleaned professionally, vacuumed (every nook & crany) & when possible, stains removed. If I feel the stain is not removable I will not attempt doing so as it could discolor or otherwise damage your bag. 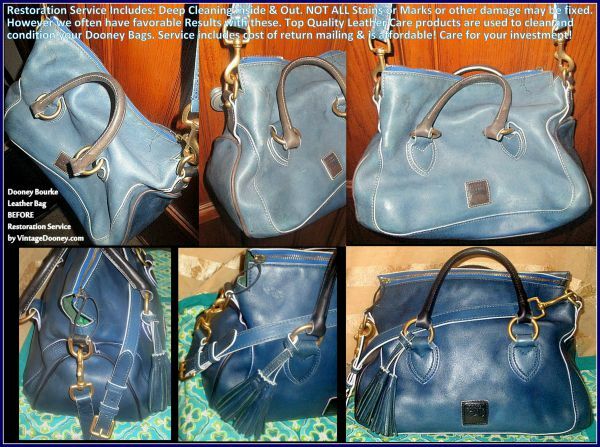 Scuffs at the corners are common with Vintage Dooney Bags & these will be restored as much as possible. All AWL and trim portions of your bag will be cleaned and freshened with the finest of professional leather restoration products. Vintage Dooney leather straps & handles will be cleaned (oils cannot be removed), and exclusive leather care products applied right down to the edges. 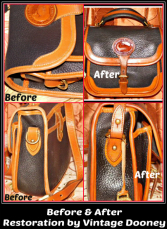 Purchase 1 Restoration Service for each handbag or accessory you will be sending for Restoration. RETURN SHIPPING is included with this price. 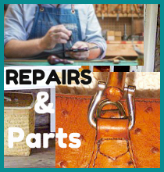 By purchasing this service, you understand that no broken parts or leather rips will be repaired by me. You understand that, while it is very very rare, there is a possibility of your item(s) appearance being changed or stains not being removable.